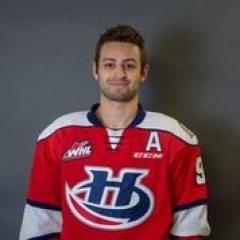 Hurricanes to a 3-1 victory over the Pats. . . . They’ll play Game 2 of the Eastern Conference final tonight in Regina. . . . Last night, F Austin Wagner’s 11th goal gave the Pats a 1-0 lead at 1:10 of the first period. . . . The Hurricanes, who have won four straight road games, tied it on Estephan’s first goal of the game, at 13:23 of the second period. . . . The Hurricanes took their first lead at 1:59 of the third period when F Jordy Bellerive scored his fifth goal, on a PP. . . . The Pats thought they had tied it at 8:21 of the third when Wagner got the puck into the Lethbridge net. 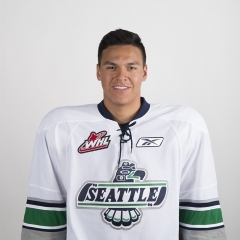 However, the goal was disallowed after a video review during which it was ascertained that the net was off its moorings before the puck entered the net. . . . Estephan iced it with his 10th goal, into an empty net, at 18:38. . . . D Igor Merezhko had two assists for Lethbridge. . . . The Hurricanes got 36 saves from G Stuart Skinner, while Regina’s Tyler Brown stopped 22 shots. . . . Lethbridge was 1-3 on the PP; Regina was 0-2. . . . Announced attendance: 6,484. . . . Darren Steinke, the Travellin’ Blogger, was in attendance and posted his game piece right here. Next article2017 TELUS Cup kicks off in Prince George, B.C.